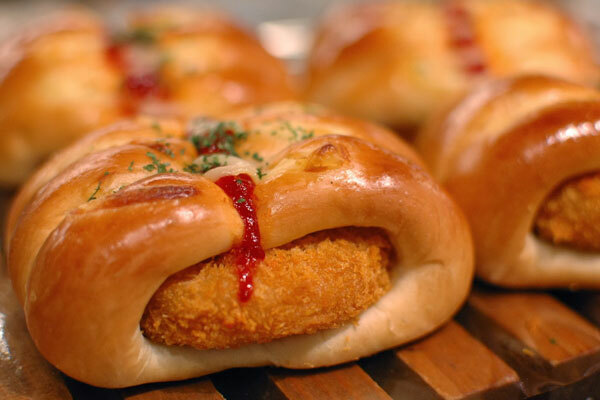 The first week of August was a week of many festivals in Japan, and with summer festivals come summer street food! 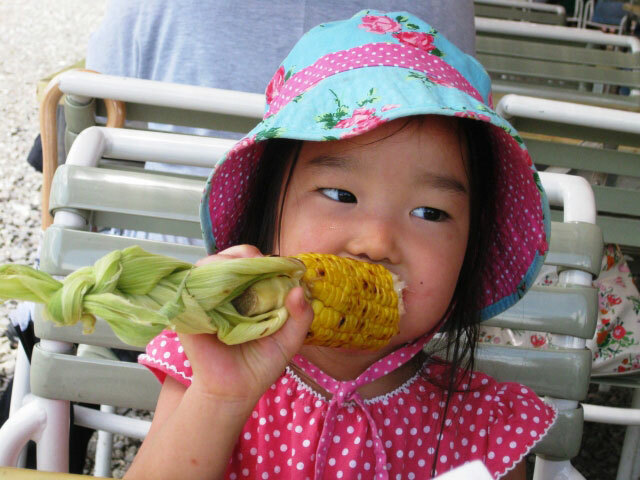 Yaki-tomorokoshi, or roasted corn, is a savory preparation of fresh, sweet summer corn. Along with okonomiyaki, takoyaki and yakisoba, freshly grilled corn is a must when attending a natsumatsuri, or summer festival. Imagine this… colorful festivals, often full of people dressed in yukata, a type of kimono worn in summer, with beautifully decorated floats, or festival lanterns… all crowded together in the hot days and nights of August. Surrounding festival goers are specialty food stalls, and the delicious smell brings additional excitement to the festive atmosphere. Making grilled corn is a quintessentially Japanese process—simple ingredients prepared in careful, thoughtful ways. The husk and silk of each ear of corn is stripped away and tied at the end of the ear to make a handle. 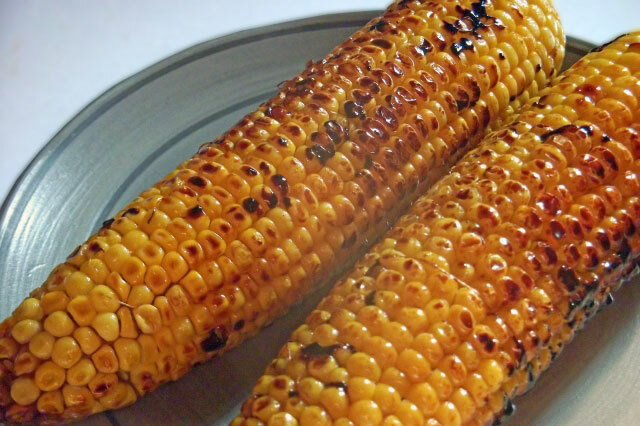 The cleaned corn is placed on a well-oiled grill and usually basted with soy sauce for a wonderful savory flavor. 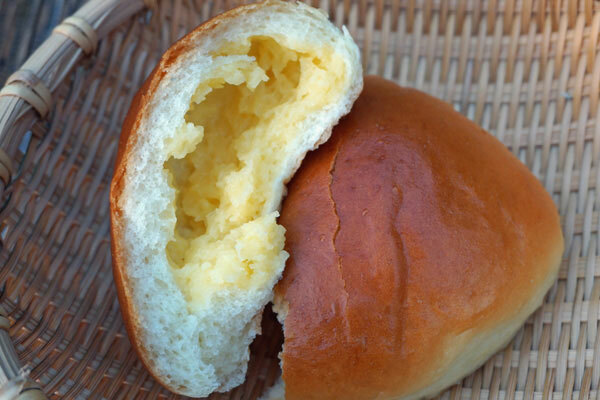 We’ve even had yaki-tomorokoshi with a sweet honey miso butter made of soy sauce, miso paste, butter, honey and salt. Festivals are great places to celebrate and to eat! 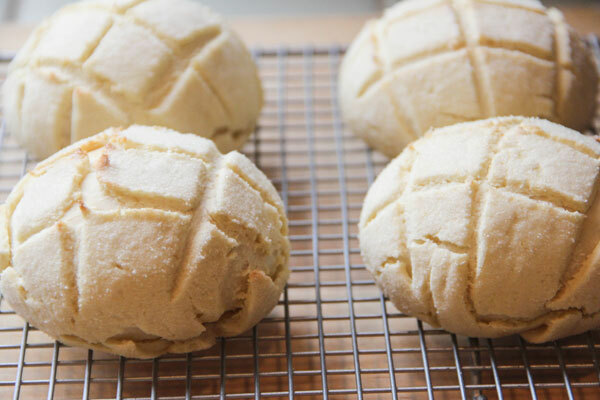 Other popular street foods include grilled squid and steamed potatoes with butter as well as candied apples, sponge cakes, crepes and of course, cotton candy! Some of the most popular summer festivals that happened this month are the Akita Kanto Matsuri, the Sendai Tanabata Matsuri, the Yamagata Hanagasa Matsuri, and the Aomori Nebuta Matsuri. Each festival is unique, but they all share a theme of praying for a successful farming season, prosperity and progress and the fulfillment of wishes. 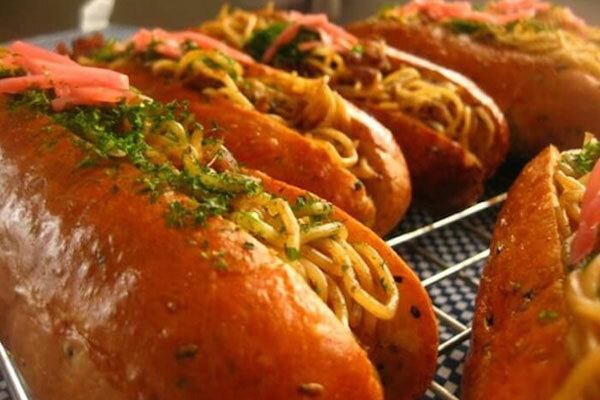 And they all have many, many street food stalls… where you can easily find a serving of yaki-tomorokoshi! 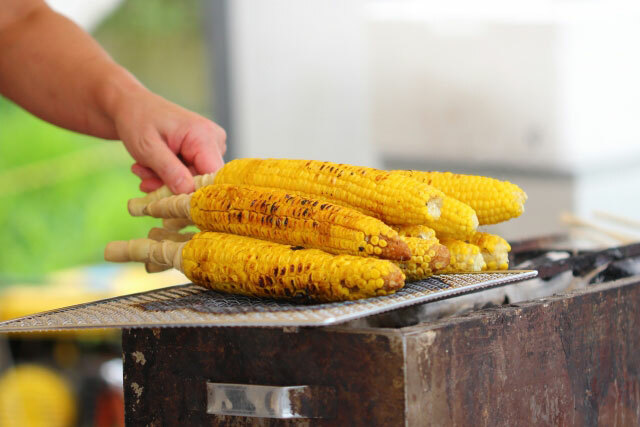 If you’re in Japan in time for festival season, don’t forget to try grilled corn… and don’t forget to look out for next month’s post about Japanese street food! As we’ve learned in previous posts, ryori no sa shi su se so and umami-rich dashi are the essential seasonings used in Japanese cooking. But what other flavorings does Japanese cuisine rely on? In our post this month, we explore the most popular herbs and spices used in cooking both traditional and modern Japanese dishes. Let’s begin by answering these questions: What is an herb? What is a spice? And how are they different? According to the Herb Society of America, herbs are “small, seed-bearing plants with fleshy, rather than woody, parts. They are valued for their flavor, fragrance, medicinal and healthful qualities, economic and industrial uses, pesticidal properties and coloring materials (dyes).” Commonly used herbs in European cooking include parsley, basil, thyme, sage, oregano and chives. In Japanese cooking, popular herbs include mitsuba, shiso and negi. By contrast, spices are “any dried part of a plant, other than the leaves, used for seasoning and flavoring a recipe, but not used as a main ingredient.” Well-known spices include cinnamon, black pepper, cloves, ginger and turmeric. In Japanese cooking, popular spices are wasabi, togarashi and shoga. Herbs and spices can sometimes come from the same plant. For example, cilantro, the herb, produces coriander, the spice made from its seeds. 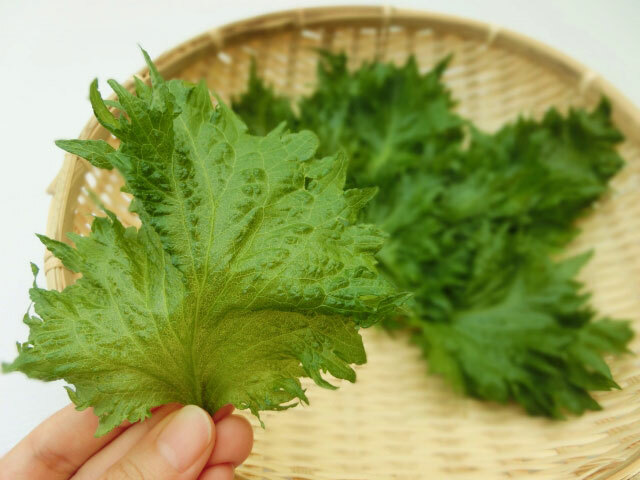 And shiso leaf (top photo), the herb, produces shiso seeds, the spice. Herbs and spices exhibit different properties during cooking and are prepared and stored differently. Herbs are best used while they are fresh and green, usually picked just before using. Spices are generally dried, with the exception of some spice roots, and are either ground, made into a paste or used whole. Both herbs and spices can be used uncooked and cooked, adding different tastes to food. Japanese herbs such as mitsuba, shiso and negi are commonly used in Japanese dishes. Mitsuba, or trefoil, has a thin greenish-white stalk and a three-pointed leaf. 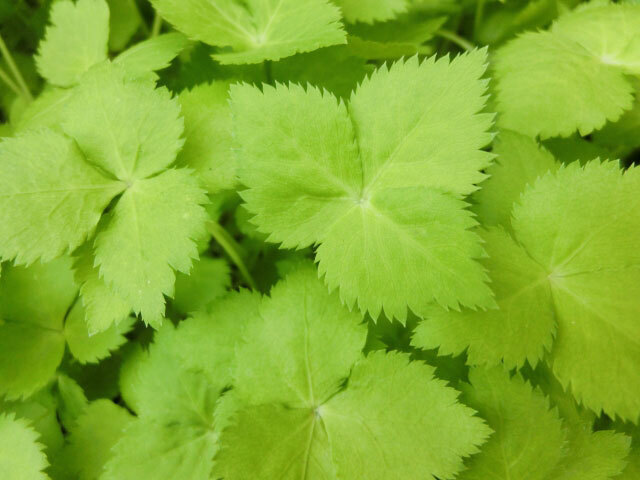 It looks similar to flat-leafed parsley, with a flavor similar to sorrel or celery, and is most famously used in Chawanmushi. Shiso is a member of the mint family and has an earthy flavor. 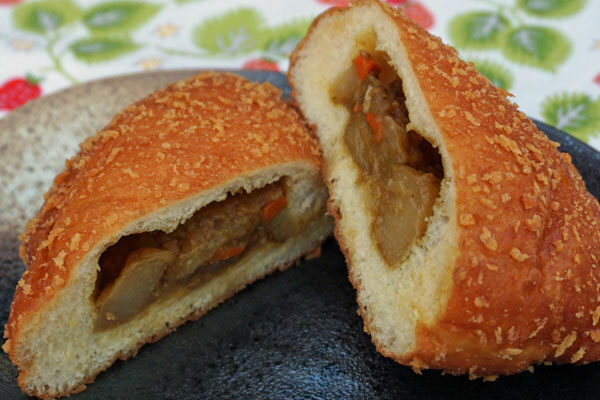 It is fried as part of tempura dishes and used to garnish and season various dishes such as Salmon Chazuke, salad and sashimi, or slices of fresh cut fish. 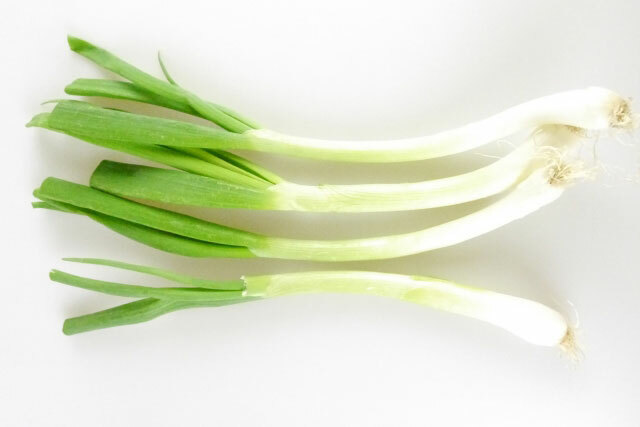 Negi is a member of the allium family and is used as an herb in many dishes. Both the white and green parts of negi are used in Japanese cooking, although different regional dishes use one or the other more often. Negi has a taste similar to scallions and leeks, with the white portion becoming sweet when cooked and the green portion used as a garnish atop dishes such as miso soup, cold soba noodle, and cold tofu. Herbs generally add a fresh, light, green flavor to dishes. Spices, by contrast, add depth and intense flavor. Togarashi, or hot red chili peppers, are used both fresh or dried. Crushed into a powder, ichimi togarashi, which means “one flavor chili pepper”, is commonly added to soups and udon noodles just before eating. Ginger, or shoga, is another spice typically found in Japanese cooking. The freshly ground root is highly aromatic and pungent, and is often used in seafood dishes to mask any unpleasant smell of the fish. When pickled, ginger is served as a condiment alongside such dishes as sushi, okonomiyaki and takoyaki. One of our favorite summer recipes is Shoga-Yaki, or Ginger Pork, and we know you’ll enjoy it too! Wasabi is probably the most iconic of all Japanese spices. Made into a paste from the grated root of green horseradish, wasabi has antimicrobial properties that can keep food from spoiling. 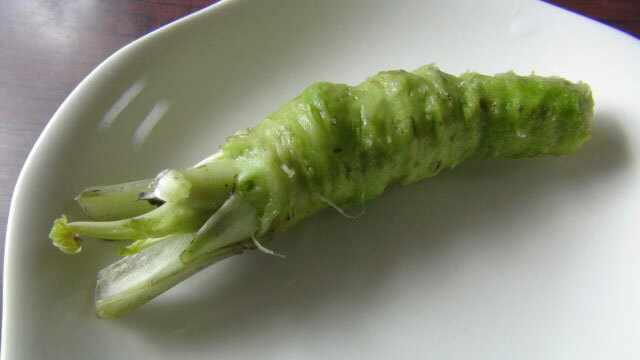 Wasabi is highly pungent and spicy and is most often served with Nigiri Sushi and other types of sushi or sashimi. 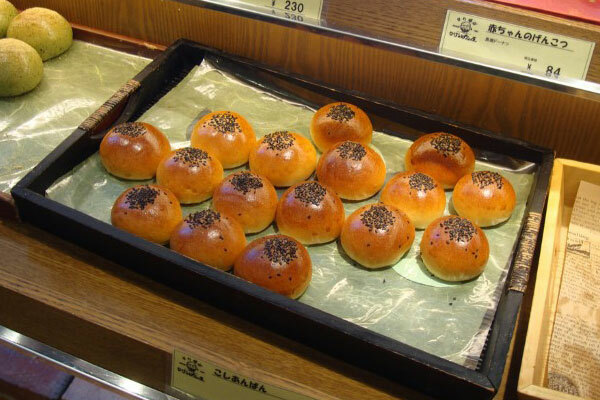 Subtle to strong, herbs and spices are essential for bringing out the flavor of Japanese foods. Which one is your favorite? Let us know in the comments below! We’re excited to introduce our newest small-capacity, microcomputerized rice cooker this month! The Micom Rice Cooker & Warmer (NS-LGC05) is stylishly designed, and has innovative technology and cooking features that make it easy and convenient to use. This rice cooker’s microcomputer uses advanced fuzzy logic technology to make fine adjustments to cooking temperatures, so that rice cooks perfectly each time. The multiple settings let you easily cook a variety of rice, including white, mixed, sushi, brown, and—for the first time—long grain white rice. Expanded healthy menu options include settings for steel cut oatmeal and GABA brown rice, which soaks the brown rice before cooking for enhanced nutrition. Each of these menu settings can be selected on the easy-to-read LCD control panel, which also has a clock, and delay timer function. This rice cooker uses a triple heater on the bottom, sides, and lid to generate heat all around the inner cooking pan so that the rice heats evenly. The removable steam vent cap located on the outer lid allows for high-temperature cooking without messy overflows. Once rice is cooked, the rice is automatically kept warm, and the REHEAT cycle brings the rice back to serving temperature when you’re ready to chow down. Along with these great features, the rice cooker comes with a practical and easy-to-clean nonstick coated spherical inner pan. High-contrast water level lines on the inside of the pan make it simple to read how much water should be added to the pan for the specified amount of rice. The pan and the detachable inner lid are both hand washable, and the clear-coated stainless steel exterior is easy to wipe down after use. The built-in retractable power cord and sturdy fold-down handle make it easy to store and transport this compact rice cooker. 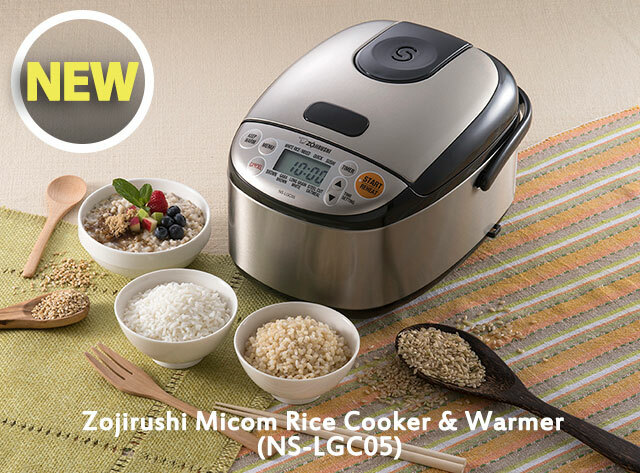 The NS-LGC05 Micom Rice Cooker & Warmer comes in a 3-cup capacity, making it ideal for small kitchens. Individuals and small families can make as little as ½ cup of rice or oats and as much as three cups of perfectly delicious rice. Accessories include a rice measuring cup, spatula and spatula holder. We know you’ll love this new rice cooker as much as we do, and you’ll be able to purchase it from our great retail partners this month! As always, we’d would love to hear from you, so be sure to leave a comment below. Nutritious, cultivated all over the globe, enjoyed as part of global cuisines–rice is truly a universal food. Delicious rice begins with high-quality seeds and careful cultivation, and ends with fastidious storage, measurement, washing and cooking. Over the next few months, we’re sharing our secrets for preparing delicious short-grain Japanese rice. Our first post focuses on how to correctly store and measure short-grain rice so that it’s ready for cooking in our rice cookers. Purchasing the freshest, highest-quality rice possible is the first step in preparing delicious rice. 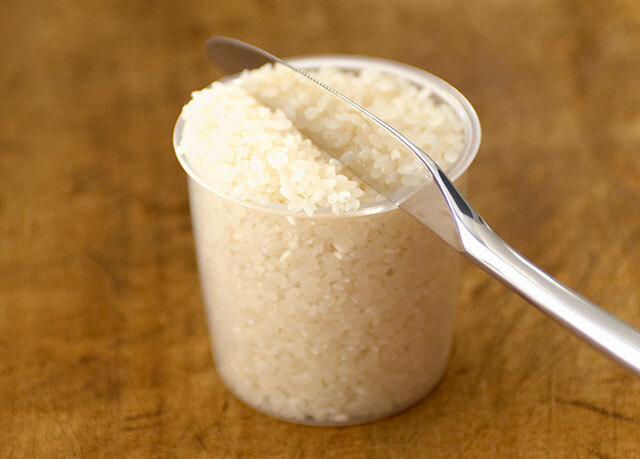 Buying rice in smaller quantities means it will be used quickly, with less chance of spoiling. 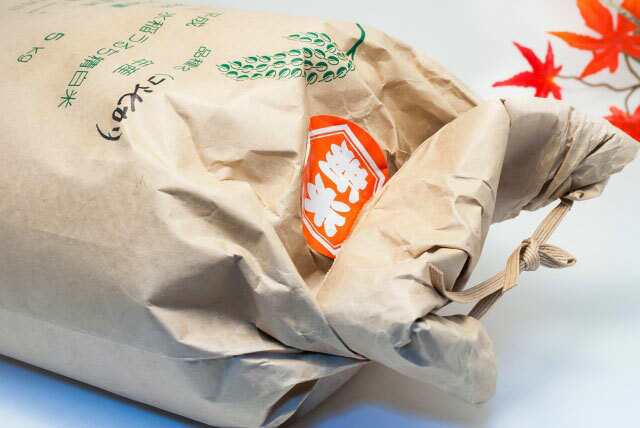 Rice is typically packaged in breathable bags, in sizes ranging from as little as two pounds to larger 15-pound bags, and at Zojirushi, we recommend buying the amount of rice you can consume within a month or so. 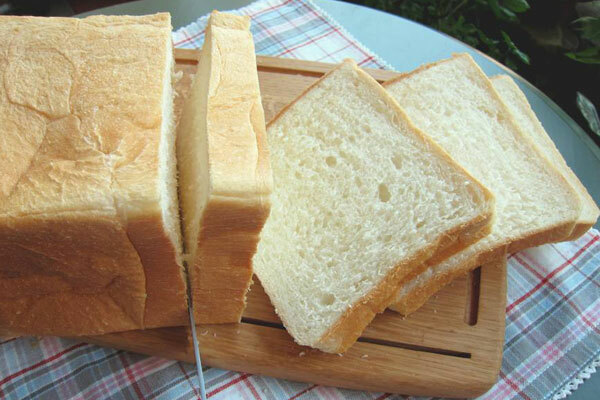 Once the rice is brought home from the market, it’s important to store it in such a way as to preserve its freshness. Rice should be stored in dry, airtight containers with the milling date, if available, noted on the container. Storing rice in airtight containers helps prevent the fatty acids in the rice from oxidizing and keeps it free of other contaminants. Rice should also be protected from humidity and high temperatures. Rice stored in cold pantries or refrigerators will stay fresh longer, as high temperatures speed up the degradation of the rice grains. Keeping rice in low-humidity environments protects it from the growth of molds and mildew. Knowing how to measure rice correctly is the next key to preparing delicious rice. Each type of rice uses a specific rice-to-water ratio, and using too much or too little water causes the rice to cook too hard or too soft. 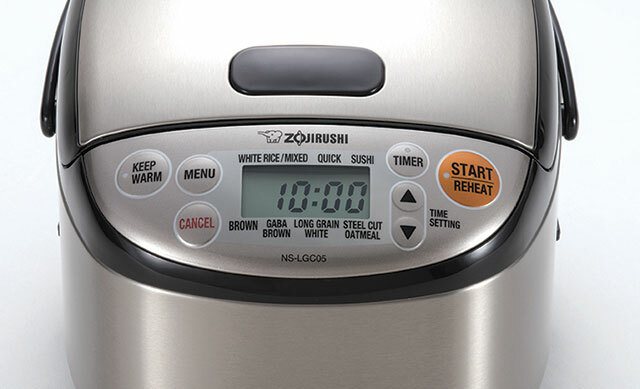 In Zojirushi’s rice cookers, the amount of water needed to cook rice is easy to figure out, but the rice needs to be measured accurately first. The key to accurately measuring rice is to use the “overfill and level off” method. Using the rice measuring cup that comes with each Zojirushi rice cooker, scoop rice out of its container. Overfill the cup to above the brim, and then remove the excess by gently leveling off the top of the cup. Shaking excess rice off the cup or pressing rice into the cup could change the amount of rice that fits in the cup, affecting the way the rice cooks, and ultimately, its taste and texture. Many other cultures have their own methods of buying, storing and measuring rice. How do you do it? Let us know in the comments below!